A recent blog post essay by Unfriendly Black Hottie (Hottie, 2013) should have prompted an open discussion of the appropriation of intersectionality in the so-called vegan abolitionist animal rights community. So far, that discussion has yet to happen. Why not? 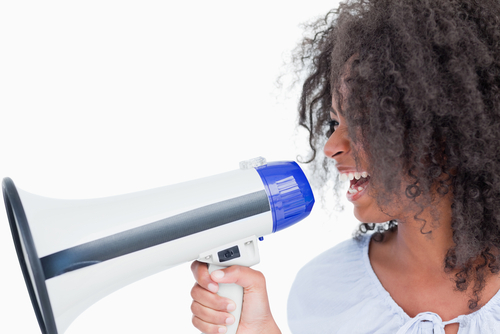 Is it another case of a white-centered social movement making Blacks invisible and silencing their voices? Are movement members who use the concept of intersectionality unwilling to or afraid to critically examine their understanding of the concept? To what extent does white fragility (Diangelo, 2011) (see definition of white fragility below) come into play as an explanation for the lack of discursive dialogue? Under the best of circumstances it is painful to examine values and beliefs we hold close to our hearts and to do so with the knowledge we may be wrong. Critical analysis can lead to that feeling of sickness in the pit of the stomach or an unwelcome feeling of embarrassment. It can lead to disorientation and loss of control, rare feelings for those who have long benefited from white privilege and who have the power to define concepts such as intersectionality, appropriation, racism, sexism and feminism to suit their purposes. It can alternatively lead to learning, to growth and the impetus to make social change happen. Intersectionality is one of the current buzz words in the vegan abolitionist animal rights movement. Some people love it, others hate it. The meanings are varied, confusing and debated across countless online discussion threads. 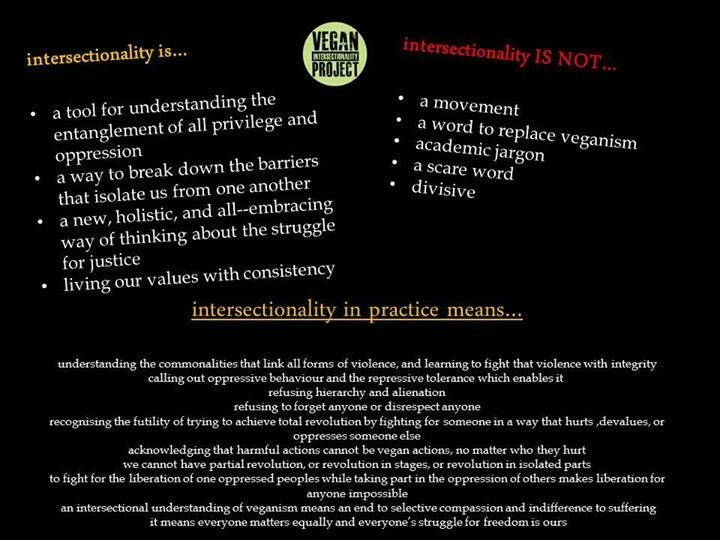 One vegan blogger tells us that, “…intersectionality does not mean that all forms of oppression intersect” and they go on to define it as, “in specific situations, multiple forms of discrimination can create specific situations for a group not described by the forms of oppression that intersect. The primary example is the failure of racism and feminism to describe their intersection for women of colour” (Unknown, Intersectionality and Abolitionist Veganism: Part 1, 2014). The reader is left to wonder if the blogger is suggesting that racism alone or feminism alone cannot explain the “discrimination” experienced by women of color so then it is important to look at the interactive effect of these oppressions. While the blogger provides a brief history of how intersectionality “started to be used frequently in the 1990s and has become something of a fashion in academic circles, rather like “queer theory” in the 1980s,” no direct connection is made to Patricia Hill Collins and Kimberle Crenshaw, the originators of the concept, and queer theory is shoved to the background as nothing more than a trend. If people are really interested in intersectionality and ending human-on-human oppression, it seems to me that sexism in developed countries might be less urgent (and I say this as a woman) than wholesale slaughter of people, men, women, and children, in Gaza, Afghanistan, Yeman [sic], Syria, and Iraq and the culture of hatred that supports this destruction. Ending war, sexism, racism, oligopoly is important but change will only happen when society as a whole is affected. Veganism is something we can do now, and convince others to do now. It will only result in large social change when there are enough of us, but every single vegan has an impact on how many deaths occur, and it is something we can all do, right now. Veganism is not the province of any race. Just because a majority of online vegans are “white”, that does not make it a “white” issue. I’d guess the majority of people commenting on police killings in the US are also “white”, even though the victims are generally “black”. I’d guess that’s an artefact of internet participation and availability of time, …and it’s changing. Never mind that Black men are being murdered by the police, that racial profiling is rampant or that poverty rates are at an all-time high among POC, the message here is we can and should ignore intersectionality and just go vegan. Indeed. The author ignores the #BlackLivesMatter campaign which aims to center the discussion of racism with persons of color, and then the author proceeds to suggest that the Black struggle for freedom is the property of whites, that the struggles of others are shared or even owned by whites. How is that even possible? Are whites now being pulled over by police for the crime of driving while white? Are white men now being incarcerated in the prison industrial complex at rates that exceed those of Black men? Whites can never know or share the struggles of Blacks. Also, whites seem incapable of acknowledging the Black discourse on intersectionality, much to the detriment of veganism. We are at a point now where we have to ask what white vegans are missing when they close their ears and minds to the Black understanding of intersectionality, when the result is the erasure of the lived experiences of Black women. In the essay on intersectionality from the Unfriendly Black Hottie blog the author describes a meeting with Patricia Hill Collins, a Distinguished University Professor of Sociology at the University of Maryland and the first to theorize intersectionality (Collins, 2005). 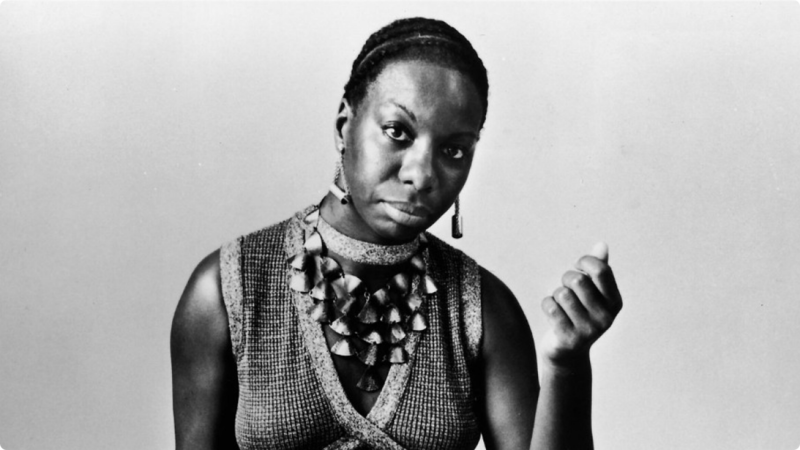 Collins was asked, “How do you feel about the ways white feminists have taken your work on intersectionality as a feminist way to be more inclusive while erasing the creations as part of a Black feminist tradition and without a dedication to Black women’s lives in any way?” While Collins did not use the word appropriation to describe what happened with her work, she related a story of how white musicians took the works of Black jazz and blues artists and imitated them without having the lived experiences that inform the music. Technically, the music is similar, but in the process whites erased Black lives from the music, the very heart and driving force of the music. understanding Black women live intersectional experiences gives us insight into the ways race, gender and class, heterosexism and more all work together in ways that restrict Black womens access to resources. and access to resources is what is really one of the most important things needed in Black women’s lives. which white feminism is not committed to in any way. when Black women learn more about classism, sexism, racism, heterosexism and more (such as transmisogyny, islamophobia, convicted felon status, etc) and how they work, we learn more about how we can define ourselves without those systems imposing our identities onto us. when you’re white saying your an intersectional feminist, you are wrong. you are the white boy singing sad songs to a blues twang claiming to be a Blues artist. you are the miley who wears black womens bodies and perceived sexualities as fun identities to put on and off, without living within those experiences always and forever. it is erasure, it is warping, it is the continual narrative of whiteness as a dominant force, in opposing the creators and destroying the creators while then attempting to re-create those creations with whiteness firmly installed inside of it. which is false, warped, fake and without heart and soul. it is a lifeless imitation. and mostly, it isn’t REAL. Abolitionist vegans are not being speciesist when they don’t let those raising issues of human oppression hijack a vegan forum. Abolitionist vegan advocacy forums are “non-human animal space” (Unknown, Intersectionality and Abolitionist Veganism; Part II, 2014). The net effect of this message is to exclude Blacks from yet another white centered organization in much the same way they have been excluded for centuries and by making the all too familiar comparison of Black lives to those of animals, only this time Blacks are not as welcome as the animals. Abolitionism as it was first conceived was built and mobilized to free oppressed humans who continue to be oppressed. For vegan advocates to completely appropriate the language and ideas of this movement and then forsake suffering humans, abandon them in their time of need, aggravate their hurting, benefit from their hurting, and then accuse victims and survivors of selfishness is deplorable. Without a doubt, this approach will only further alienate anti-speciesist efforts, tarnishing it as yet another a space of violence, oppression, and white male Western privilege (Wrenn, 2014). Dismissing and ignoring the suffering of humans makes a mockery of anti-speciesism, of its aim to stop rank ordering others based on their perceived value. Vegans need to stop putting whites at the top of the ladder, granting them the power to tell others who matters and who doesn’t, who should be heard and who shouldn’t. White fragility, that roller-coaster-whooshy feeling in the pit of the stomach, can be a signal to stop rationalizing the status quo and to stop colonizing Black spaces in order to appropriate their language or whatever else abolitionist vegans deem useful. Stop appropriative behaviors. At the same time, know it is not putting humans over the animals when we practice pro-intersectionality; rather, it is centering and respecting the resistance of Black feminists, resistance to the racism, sexism, ageism, classism, ableism and speciesism of a white man dominated patriarchal society. Veganism was never meant to be a justification for white dominance or appropriation. 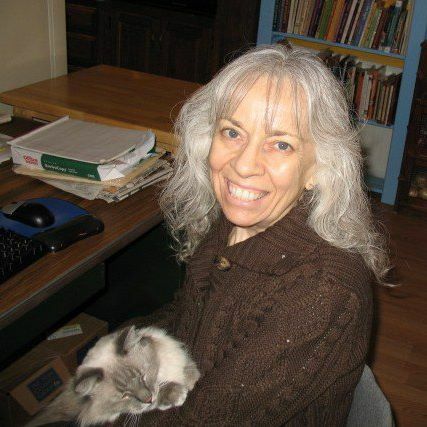 Dr. Martindill earned her Ph.D. in sociology from the University of Missouri and taught there in the Sociology Department, the Peace Studies Program and the Women’s and Gender Studies Department. Her areas of emphasis include political sociology, organizations and work, and social inequalities. Dr. Martindill’s dissertation focuses on the no-kill shelter social movement and is based on ethnographical research conducted during several years of working in an animal shelter. She is vegan, a feminist and is currently interested in the stories women tell through their needlework, including crochet, counted cross stitch and quilting. It is important to note that Dr. Martindill consistently uses her academic title in order to inspire women and members of other marginalized groups to pursue their dreams no matter what challenges those dreams may entail, and certainly one of her goals is to see more women in academia. Collins, P. H. (2005). 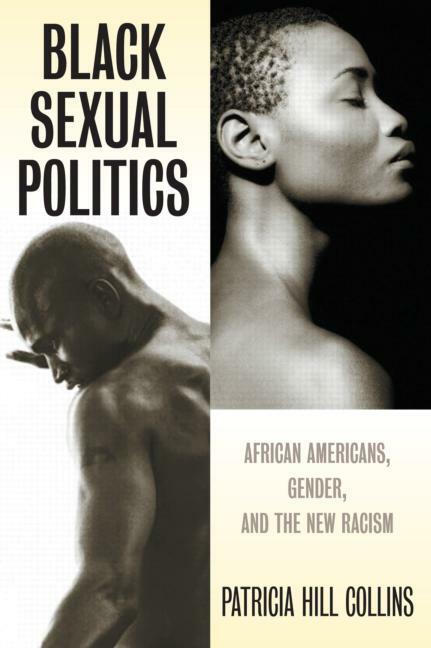 Black Sexual Politics: African Americans, Gender, and the New Racism. Routledge. Diangelo, R. (2011). White Fragility. International Journal of Critical Pedagogy, 54-70. This entry was posted in Activism, Nonhuman Animal Rights & Speciesism, Whiteness & Critical Race and tagged Appropriation, Black Feminism, Black Lives Matter, Intersectionality, Race, Veganism, White Fragility by Vegan Feminist Network. Bookmark the permalink.